Hannah McPake performing The Shape of Pain. “It’s a very specific experience that allows us to view the rest of the world through that lens for a brief period of time.” Rachel Bagshaw is making a show about pain. Not the wailing-on-the-moors heartbreak kind, but unrelenting physical pain. Created alongside playwright Chris Thorpe, The Shape of Pain uses Bagshaw’s personal experience of Complex Regional Pain Syndrome to explore the extent to which we can understand another person’s pain. Disclosure: I go to talk to Bagshaw because I suffered from chronic pain for over seven years and am still prone to frequent episodic pain, resulting from seemingly minor activities. Given that the other great narrative to my life is theatre, works for the stage about chronic pain possess an obvious draw for me. I think. To be honest, I’m never sure if I want to see a show that makes me reflect on chronic pain, especially when theatre, art and music have provided such an effective means of escape from the lived experience of pain. On the morning before I interview Bagshaw, I get very upset trying to decide what I want to ask someone else who lives with chronic pain; I want to ask her everything and also nothing, like I’d rather just drink hot chocolate and pretend this wasn’t happening. After meeting her (and she’s instantly likeable and highly informative) I stall on the interview transcript for several weeks. Each time I sit down to attack it I’m drowning in a ball of heat. The point – albeit self-indulgently – that I’m trying to make is that talking, writing or creating art about pain when you experience it is hard. Really hard. Bagshaw describes the process of making The Shape of Pain, with obvious understatement, as “not an easy one”. Given that the experience of pain is so entirely subjective and personal, it might seem puzzling that Bagshaw is not the author of The Shape of Pain, but instead chose to work collaboratively with Chris Thorpe, using a devising process that has seen the work continually evolve. However, creating it this way provided her with the audience that the piece needs in order to really be about communication. “Working with Chris as the writer,” she tells me, allowed her to continually ask the question: “Can he understand what it is like to live with this condition?” And, in doing so, it means “the performer [Hannah McPake] can have that conversation with the audience.” The audience, then, are as crucial a part of the production as the performer. In fact, communication is so integral to the show that each performance is fully accessible with live captioning and some audio-description. 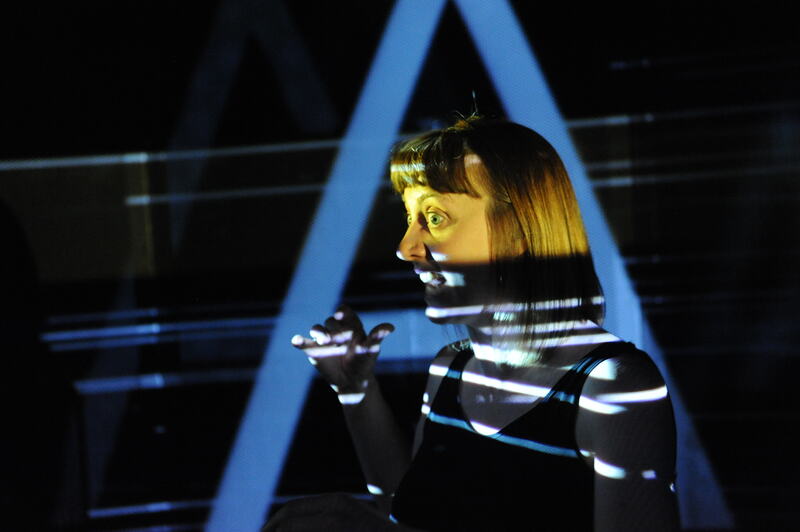 The Shape of Pain is on at Summerhall in Edinburgh from 2 August as part of the Edinburgh Fringe. Click here for more details.